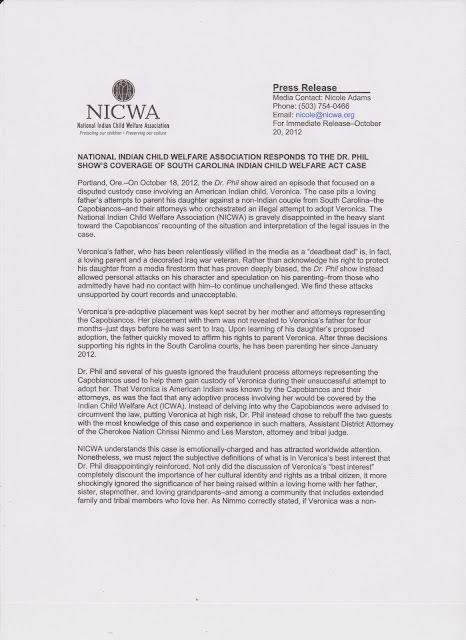 There is a new facebook page, Boycott the Anti-Native American Dr. Phil Show, set up in response to the offensive and disturbing position Dr. Phil recently took against the Indian Child Welfare Act. 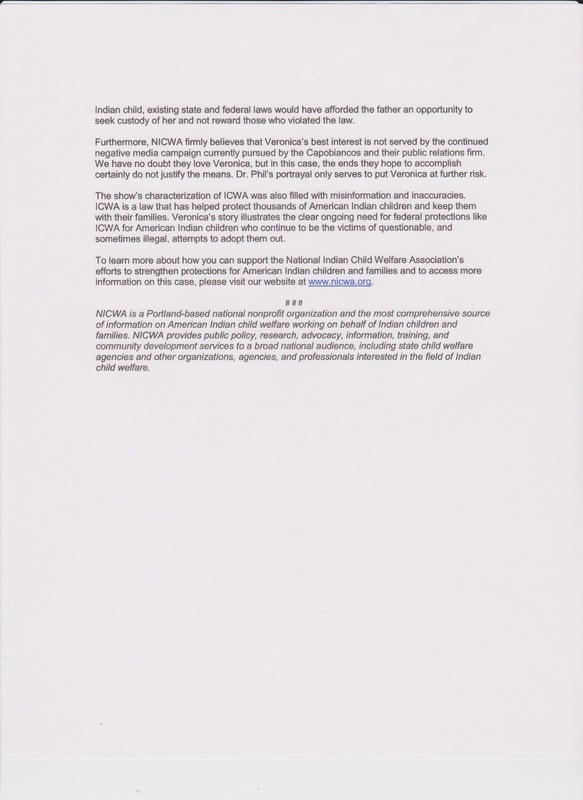 "Passed in 1978, ICWA was created to curtail child welfare practices that separated far too many Indian children from their families and tribes and to recognize the sovereignty of tribal governments. 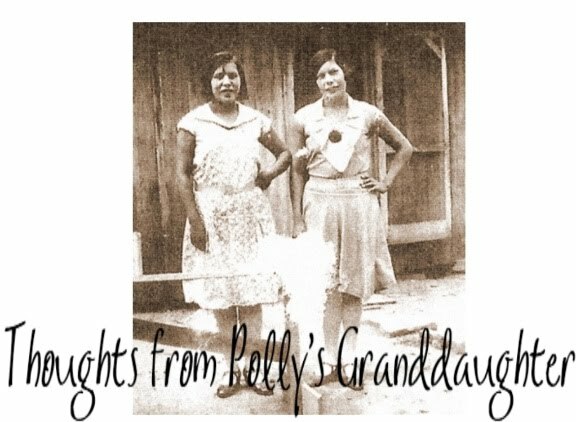 Before ICWA, 25 to 35 percent of Indian children were removed from their homes, and 85 percent of the children who were removed were placed in non-Indian families." 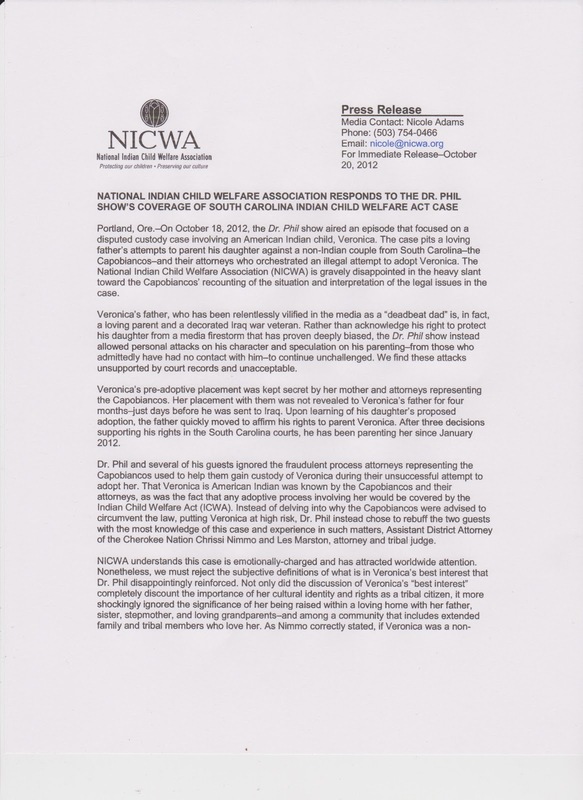 I think it is important to share the truth, so I am posting the public statement put out by the National Indian Child Welfare Association first. 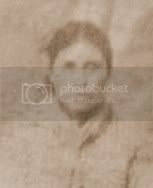 After reading the truth, please see below for the way Dr. Phil withheld some information in order to, in my opinion, incite anger against Veronica's father. The information from Dr. Phil's website on this show can be found HERE. 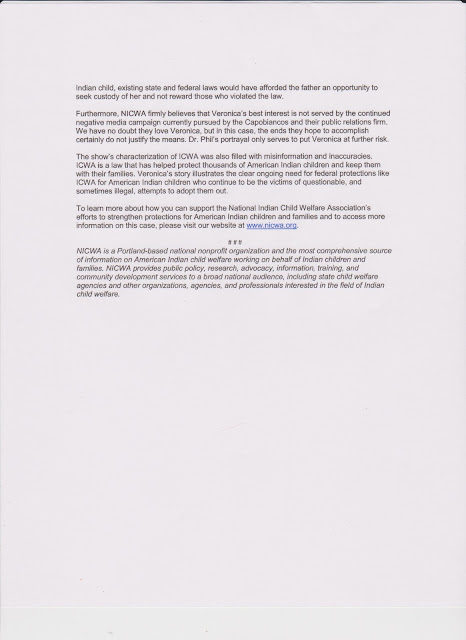 More on this issue can be found at Indian Country Today. In my opinion, Dr. Phil needs a lesson on sovereignty. Boycott the show. Send letters and emails. Let him know his opinion does not trump federal law. I can only conclude that Dr Phil considers "the Indian Community Lifestyle" not to be in the best interests of Indians, including Indian children. How much longer must we educate certain whites as to what is and is not a matter of judgement for them to decide?